Our Cadiz cruise port guide gives you information about the docking location, cruise dock, transportation options and much more! 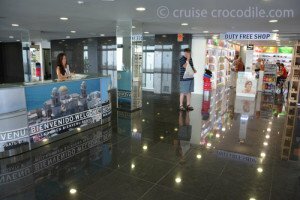 Welcome to the Cadiz cruise port guide. 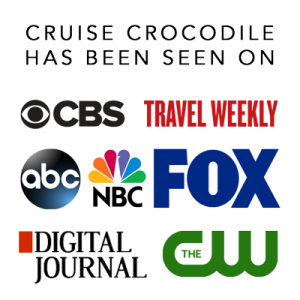 The cruise destination that never disappoints! Cádiz is loved by everyone who visits it. The city is that small peninsula of 1800 by 1200 meter in the Atlantic ocean. That makes is it a small compact town to explore and to completely get lost in. It is a network of little cobble stoned streets where even the navigation officers could get lost in. This is absolutely the charm of Cádiz. It is a maze where there is a surprise waiting on every corner. You can visit many historical landmarks that go hand in hand with unique shops and little squares. It is the perfect example of an Iberian city with all its charm and glory. You are lucky if your ship will have an overnight in Cadiz, because this is not the only the city to visit here. Think about visiting the sherry capitol Jerez de La Frontera or Sevilla, the gateway to the new world in the 16th century. In the cruise terminal the tourist information is waiting for you with maps, walks and other information. Also find duty free shopping here, free wi-fi and currency exchange facilities. The prices you see on this picture will give you a good idea of what a taxi will cost you. Keep in mind that prices may change. 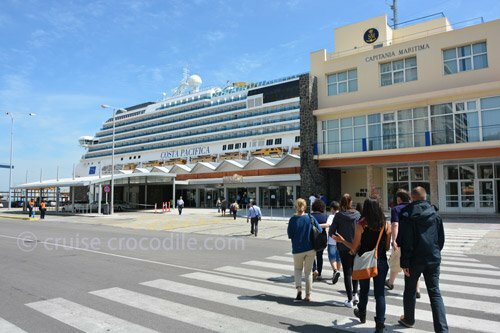 This is the cruise terminal of Cadiz. It doesn’t matter where your ship dock, you always have to enter and exit the port through the cruise terminal. 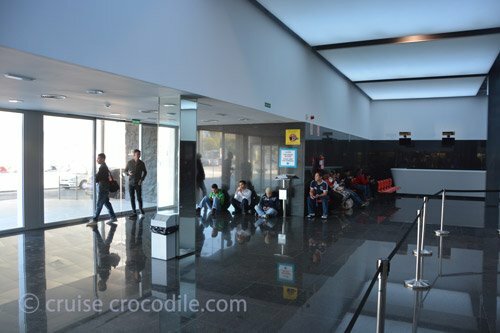 There is free wi-fi in the cruise terminal also the city of Cadiz provides free wi-fi. The cruise port of Cadiz has been through some really nice changes. 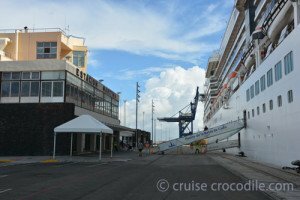 There are now 2 new cruise terminal buildings with all new facilities. Cruise ships can dock right in front of the cruise terminal. 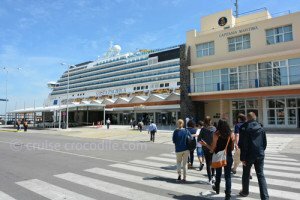 If you walk through the cruise terminal you walk straight into city centre. If your cruise ship is not able to dock in front of the cruise terminal the port will provide a shuttle bus service. The cruise terminal is right in front of the new town of Cadiz. The old and new town are situated on a peninsula that is 1800 by 1200 meter and therefore best to explore by foot as the cruise terminal is in the city centre and this is great location to start a journey through the narrow cobble stone streets of Cadiz. Cadiz has a couple of options for you for how to get around. Again, walking would the best options as this is the way to get lost in all of the small enchanting streets of the city where hardly any traffic is allowed. There is a hop on hop off bus available in Cadiz. You can spot it right from the ship. It is one of those red double-decker buses. It is definitely a nice option to go for if you do not want to walk long distances and planning to stay in the city. They are wheelchair accessible and have their commentary available in 15 languages. Somewhere hidden in the streets of Cadiz is where you’ll find the central market. It’s been in existence since 1830. You’ll find over a 100 vendors here that all sell their local specialties. Why not join to locals for some wine and cheese. This castle from the 1700’s lies in the middle of the Atlantic ocean. It is connected to the land by a 750 meter long causeway. Walk the causeway and enter the castle to find out what it was build for. This square is the first big square you’ll come across if you exit the port. It is dominated by the Monument to the Cadiz Parliament and Constitution in 1812. In 1812 Cadiz was the capital of Spain as the rest was taken by the Napoleonic army. Therefore it was feasible to sign the very first constitution of Spain in Cadiz. This monument commemorates this event. Make sure to have a close look as it is full of beautiful historical details. Not far from Cadiz is where you’ll find Jerez de La Frontera. This is the sherry capital of the world. Under Spanish law, all wine labelled as “Sherry”must legally come from the Sherry Triangle. Jerez is the centre of the triangle and this is where you’ll find bodega after bodega for some nice sherry tasting. 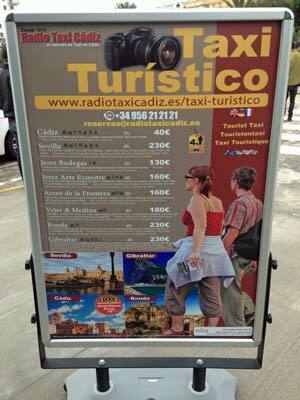 Reach Jerez by excursion, taxi or train. This is the main beach in the city centre of Cadiz. Although not very suitable for sunbathing outside the summer months it is still a very scenic beach. And fun fact: this is also where Halle Barry walked out the water in her orange bikini in Die Another Day. The city of Cadiz is like an union. Sometimes you can peel off the layers of history. The roman theater is a perfect example. In the 1980’s a couple of warehouses in the city burned down. Underneath it revealed a old structure. Systematic excavation showed it was an entire Roman Theater. The sight is not always open, but why not try as you walk by. Built in the Neo-Mudejar style, which is a quite interesting style. The Moorish (Arabic) empire flourished here for centuries. The Arabic style that was used after the Moorish left, was called Mudejar, because it was implemented by the Christians. This way you can still find the traces of an Arabic civilization in this all Catholic country. In the 16th century it was already the centre of urban activity and it still is. This square is a delight. Take in the atmosphere and visit on of the many Paella of ice cream spots here. The story behind this tree is that Columbus brought back some seeds from the New World and planted them here. Today it results in 2 gigantic trees in the city centre. This is nowadays the cities main square due to its historical significance. Back in the days this was the sight of a well that supplied water to the city and where the Spanish constitution was proclaimed in 1812. Nowadays you’ll find this beautiful 17th century church here. You’ll find a bus station just outside of the port, but please know you do not need it in town. Pretty much the entire city centre of Cadiz is pedestrian zone and the busses only go around. You are missing out if you take the bus to travel the city centre. You will find the Flower market on Plaza de Topete. It is the perfect location to wonder around the flower stalls. This is the cadiz cruise dock where your ship will dock hem in port. 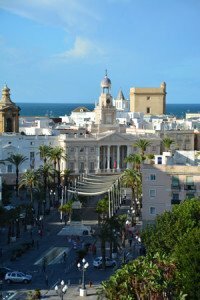 Read our full cruise port guide on Cadiz here. This park is where you’ll find all kinds of mesmerizing scenery including the Botanical Gardens. The parks has species with all kinds of different backgrounds, monuments and a (plastic) dinosaur park. Some of the great cafes and restaurants are located here on this gorgeous street in Cadiz. It is in the neighborhood of the working class and it doesn’t get more typical than this. The most prominent, well-known landmark is without doubt the cathedral. You can spot it already from the ship as it is the only building that stand out above the horizon. This is one of the largest cathedrals in the country and it is absolutely worth visiting. Climb the 17th century tower or visit the echo room.